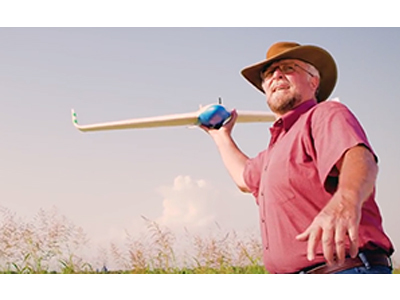 LeddarTech, a provider of solid-state LiDAR solutions, says its LeddarOne optical sensor has been selected by Robota as the altimeter for the Eclipse, a fixed-wing unmanned aerial vehicle (UAV) for surveying applications. The company says LeddarOne will provide the drone’s autopilot with precise, real-time, height-above-ground-level measurements during the sensitive UAV landing phase. LeddarOne is a compact optical sensor module dedicated entirely to a single point measurement. The fixed-beam LiDAR solution can be used in various types of drones, including multi-rotors, for altimetry applications.